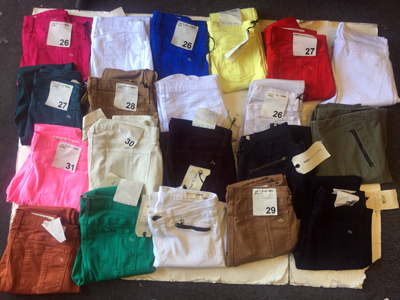 Rag & Bone ladies jeans assortment 30pcs. Style: Assortments to include but no limited to styles as shown. Light, Medium, Colors and Dark Washes.